Original painting & prints of Talisker Bay on The Isle Of Skye, Scottish Inner Hebrides, Scotland. 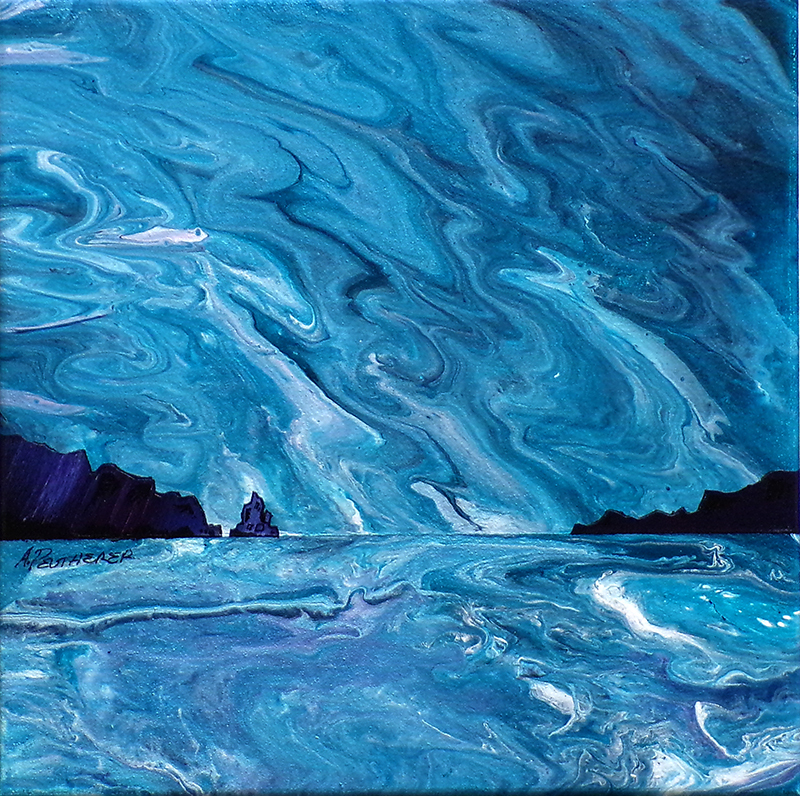 An original abstract, atmospheric seascape painting of The Isle of Skye depicting the raging tidal flow in Talisker Bay. The painting continues around the deep edges of the canvas board giving a very contemporary style although it can be framed if you wish.